With Sana Mir, it’s the small gestures that stand out. On a day when she became the first Pakistan woman to have 100 One-Day International wickets against her name, she took a step back to let Ghulam Fatima, ten years her junior, bask in the limelight of her first player of the match award. Mir had handed the youngster a first cap just the previous day, and the pride was evident. There was a protective arm when needed, an encouraging nudge when called for, and translation services readily offered for the media obligations. When Fatima grimaced, burst into giggles and hid behind her captain once the cameras were turned off, the fondness was evident. Don’t worry, you keep doing this, your confidence will grow. Like the best leaders, there is rarely a ‘me’ in her statements. Perhaps her one concession to the personal was when she finally got her 100th wicket, in her 92nd match on Wednesday (February 7), at the P Sara Oval in Colombo during the ICC Women’s World Cup Qualifier 2017. 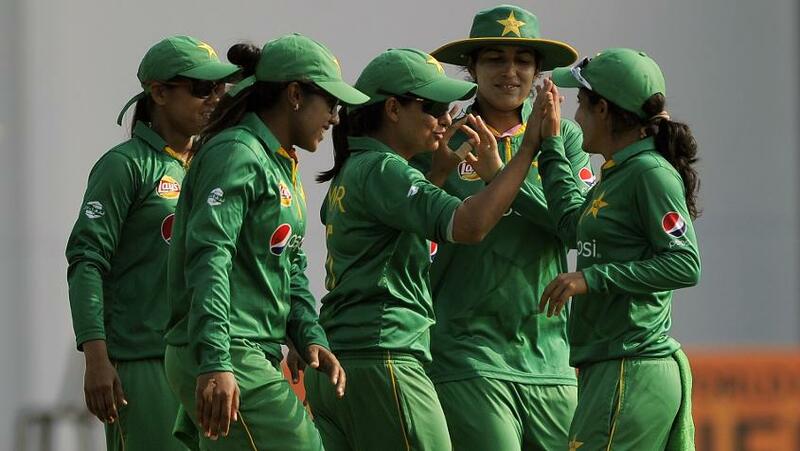 When Jahanara Alam aimed to attack, but missed and was bowled, Mir folded her hands and looked skywards. She seemed overwhelmed, her face a mix of relief, disbelief and elation, before she was enveloped by celebrating teammates. Pakistan Women's Captain Sana Mir created history at the #WWC17 Qualifier by becoming the first ever bowler from Pakistan to take 100 ODI Wickets. It’s a long way to come from chasing her brother’s tape balls in their backyard at four, and playing on the “streets of Pindi”. It comes as little surprise then that her two favourites on the cricket field are Waqar, a pacer, and MS Dhoni, a leader. “The way he has made a team that is now dominating, that is his legacy and I look up to him as a captain,” she says of the former India skipper. Like the best leaders, there is rarely a ‘me’ in Sana Mir statements. What it has produced, meanwhile, is a flag-bearer to make the country proud.